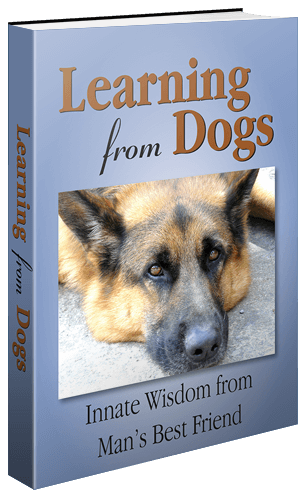 Towards the end of September in came an email addressed to learningfromdogs. Pete here from The Goody Pet. Firstly – A big thank you for writing all those amazing articles on dogs. Been sharing these articles with my friends and they really enjoyed reading them. Was wondering if I could contribute a guest post for your website? I have been a dog owner for the past 15 years and would love to share some of my tips to your readers. If you are interested, please let me know? I will be more than happy to prepare a few topics to send across to you. Goes without saying that I was delighted to receive Pete’s email and his offer of an article. Here it is! Dog is a man’s best friend, this is something we have said and heard enough number of times. They can be better friends that any human can ever be, this is a fact that almost all dog owners can surely vouch for. A dog’s loyalty has been seen and heard of in many famous incidents as well as stories like Hawkeye, the dog who grieved the death of his Navy SEAL owner by lying down near his casket day in and out. Or the story of Hachiko, the dog who greeted his owner at the train station every day and continued to look for his owner at the same place daily even after the sudden death of the owner. What makes dogs so loyal? There have been some people who say that they depend on humans for food and shelter and so have to be loyal without a choice. But when you see the dog of a street dweller loving him unconditionally or when you see the reaction of a dog after meeting his master who has been away for a long time, you know it’s not just about food and shelter. They are colonial creatures who like to live together, whether it is a colony of humans, dogs or even other animals. They just want to love and be loved back. Your closest human friend or companion may betray you when the time comes, but a dog never ever will. If needed he will lay his life for you, but betraying is out of question. A human being is capable of telling lies, manipulating, or twisting facts, a dog is not capable of any of that. No matter how close you are to a person, they still may not tell you everything or all the truth. As humans, we think withholding information is not considered lying and do that all the time. But a dog can never lie, he doesn’t even know how to. There is no pretense or withholding information with a dog. For a dog the world is only about you. And it only has ways to show you how much it loves you, nothing more. Your dog does not care whether you are rich or poor, whether you are ugly or beautiful. It does not even care if you are thin, fat, or what nationality you belong to. A dog will not judge if you have failed at anything, or hold prejudices against you. With a dog you can never be scared of being ridiculed or humiliated. As long you it is with you, you mean the world to him, and he will never leave you no matter what. A dog is not capable of holding grudges, or being revengeful. These qualities are for us humans. Even if you hurt your dog knowing or unknowingly they will still forgive you at all times. They will not hold your mistakes against you. They will forget your flaws and love you as it always did. This is one thing that differentiates a human from a dog. Your best friend of one time may not be the same anymore, but a dog will be your best friend as long as you live. They will be by your side at all times, through thick or thin. You can always repay the favor by ensuring that your dog is responsibly cared for, well fed with regular grooming. These are some important lessons of loyalty that a dog teaches us. If only we humans imbibe even a part of their qualities, the world will be a much happier place to live in. That closing photograph, that was also supplied by Pete, says it all. The author of this post is Pete Decker, the Lead Editor at The Goody Pet. Pete loves to share his passion for pets through snippets of interesting and helpful information. You can find more of Pete at his website, Twitter or Facebook. The loyalty of dogs continues tomorrow! What Pete said in his article is why I prefer dogs to people. There is no artifice or pretense like humans. They love unconditionally. Enough said. Great share, Paul! Great article I wish more humans were like dogs. Perhaps wishing that more humans learnt the value, nay the power, of what dogs teach us! Well one way or another we are going to have to learn some new ways of behaving. For Mother Nature always has the last word! Thanks, Sue! Makes me wish that I was a dog… To be able to love unconditionally, is to know bliss. So beautifully put, Colette. Precious thought!